Just a year ago, NVIDIA and ATI were in the midst of a war for graphics processing unit (GPU) supremacy in the $18 Billion a year video game industry. Then, ATI was bought out by AMD. At the time, there was talk that the combined technologies from ATI’s GPUs and AMD’s CPUs would deal a crushing blow to NVIDIA. However, as history has shown, mergers are rarely a good idea. Sorry, AMD and ATI. Mergers lead to laying off people with redundant jobs, consolidation of resources, alignment of different standards, and so forth. These are time-consuming tasks and take resources away from projects and delay product launches. Eventually, this may pay off. But right now, NVIDIA has taken this AMD/ATI distraction to push its lead further in the graphics card market. Since the AMD/ATI merger, NVIDIA’s fortunes have doubled and AMD’s have plummeted. Currently, NVIDIA’s stock market capitalization is $18 Billion (up from $8 Billion), while AMD’s is $7 Billion (down from $10 Billion, while ATI, by itelf, was worth $7 Billion last year!). To make matters worse for AMD, NVIDIA holds the lead for top-end graphics cards, while Intel, with a market capitalization of $150 Billion, holds the low-end graphics card market. Leaving the three companies to fight for the middle-end market. Coprocessors became popular for the desktop in the 80’s to help the CPU, such as with float-point arithmetic via the floating-point unit (FPU). Computers such as the Amiga, had also used dedicated custom chips to handle graphics, sound, animation, graphical user interface (GUI) and so on. However, as the CPU became faster and better able to handle these tasks on its own, these custom chip features began to be consolidated back into the CPU. In the 90’s graphics cards and sound cards (custom chips) again appeared to help offload the CPU. History is repeating itself as it alternates between these phases. Mainframes have used Field-Programmable Gate Arrays (FPGA) to process on-the-fly custom tasks without the need for for a custom chip for each custom task. Cars, game consoles, mobile devices, microwaves, and televisions usually include custom chips. Another custom chip that has been talked about in the gaming industry is the standalone Physics Processing Unit (PPU), such as the one Ageia offers. I believe that because of an incoming CPU/GPU merger and massive, multicore architectures that the need for a dedicated PPU will be eliminated or minimized in the near-term. This is the consolidation phase we are currently in. Which brings us back to the theory that the merger of AMD and ATI would deal a serious blow to NVIDIA. In late 2008 or early 2009, AMD Fusion, which is to marry the CPU and GPU together on the same silicon package, will launch; a move that NVIDIA will need to counter. Intel is also talking about doing this, as well as manufacturing massively, multi-core chips. What will NVIDIA do? Does NVIDIA need to be worried? Yes. Even though they have a dominant position in the GPU market, CPU and GPU consolidation will be a move that cannot be ignored. However, there are many moves that NVIDIA is already doing and things that they can do in the future that will keep it competitive. NVIDIA’s product offerings are currently focused in these areas. NVIDIA has diversified their product offerings. Their motherboards are compatible with both Intel and AMD CPUs. They have moved aggressively into the game console and mobile market. 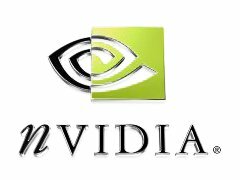 The computer is not the only place for them to embed GPUs. NVIDIA CUDA & Tesla technologies compete with AMD Stream Computing as General-Purpose Graphics Processing Unit (GPGPU) technologies. GPGPU allows both companies to use their GPUs to compete in the $10 Billion a year High-Performance Computing (HPC) market. HPC will provide another large market (besides the video game market) to derive revenue. Competition in this arena include the big three – Intel, AMD, NVIDIA, but also IBM, Dell, HP, Sun Microsystems, and Cray, among others. The question is which of these providers will be able to push the GPU into the GPGPU forefront. There is an order of magnitude for GPUs for certain calculations than the CPU. If the software layer can make the GPU a coprocessor for the CPU, this will be a huge evolution in raw computing power. As you may know, the CPU roughly doubles in performance every 18-24 months. While the GPU doubles in performance every 6-12 months! Google recognized this fact and acquired Peakstream, the leading vendor for GPGPU. This leaves RapidMind as the next big player still on the market. NVIDIA has an opportunity to compete on the CPU front. They have already entrenched themselves with motherboards that are compatible with Intel and AMD x86 CPUs. They have hired employees from x86 companies. To move into this arena NVIDIA has three options: build, buy, or a partnership. There have been rumors, for quite some time, that NVIDIA has secretly built its own x86 chip or has one in development. 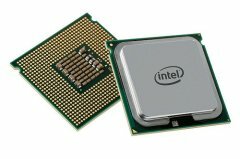 While most view this as a defensive measure, this could provide another challenger to the Intel and AMD dominated market. A partnership with an existing x86 CPU manufacturer would provide low risk. NVIDIA can experiment and try things out with a CPU/GPU mix, without having to commit as much funding. The CPU experts can work with the GPU experts. Whichever option they choose, NVIDIA will need to find a way to graft a CPU with their GPU in order to compete with AMD and Intel in the future. In the near-term, NVIDIA remains strong and has a healthy lead on Intel and AMD in the GPU market. But as we all know, in this competitive market, it is easy to be leap-frogged. NVIDIA’s best bet to maintain their lead is to design their own x86 CPU as well as a CPU/GPU hybrid chip. This will cover all their bases for the long-term. They should not wait for just a partnership (although having one is a good idea), but should build and buy the technology for themselves. This is their playbook. If they follow their instructions, their future remains bright. This entry was posted on September 3, 2007, 11:40 pm and is filed under Article. You can follow any responses to this entry through RSS 2.0. Both comments and pings are currently closed. Nvidia will sure want to develop X86 CPU or CPU/GPU hybrid chips to counteract its main competitors, AMD and Intel. However, competition will make companies keep on improving their services and products. A business leader will not let its guard down.